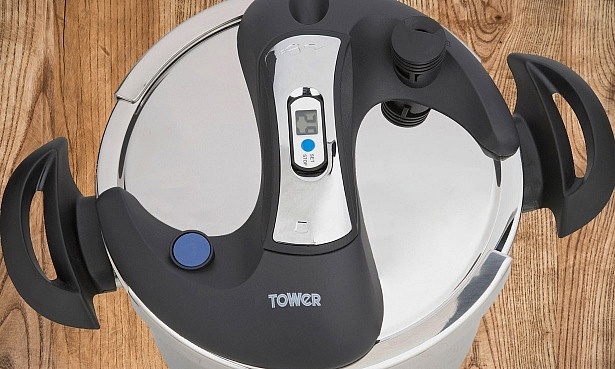 Tower’s 6-litre One Touch Stainless Steel pressure cooker poses a serious risk of burns, according to a recall notice posted by RAPEX, the EU Rapid Alert System for Dangerous Non-Food Products. UPDATE for 12 February 2019: Tower has told us that is isn’t aware of any recall and it has all the EU test certifications that the product is safe to use. It says there have been no reported incidents in the UK. We are currently looking into this issue with RAPEX and will update this story as soon as we have more information. 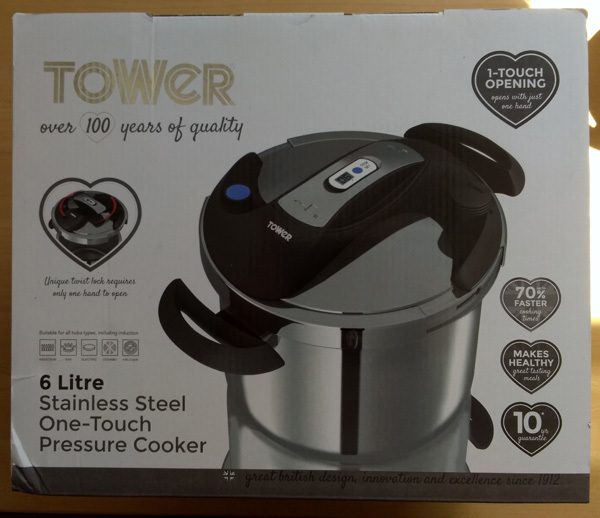 The alert states that the stove-top pressure cooker, on sale at Argos and Robert Dyas, doesn’t comply with the requirements of the Pressure Equipment Directive, due to ‘inadequate’ safety devices. If the lid is opened abruptly, the gasket may eject from the lid, which would cause hot liquid to shoot out of the pressure cooker. It’s also possible for the upper part of the rod to become partially detached. This would stop the safe-opening system from working properly. The affected products have the model number T90103 (found on the base of the pressure cooker) and barcode 5055195872791 (on the box). If you have a product with this model number you should stop using it immediately and contact the manufacturer for more information. 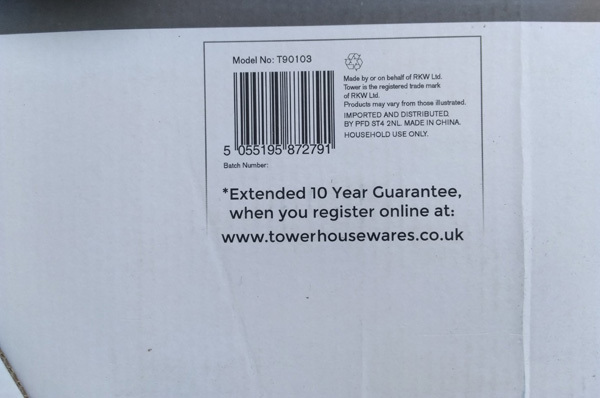 It’s the responsibility of the manufacturer to make customers aware of product recalls, but there isn’t any information on Tower’s website yet. At the time of writing the product was still on sale at both Argos and Robert Dyas. For now, it’s best to stop using your product immediately. We’ve reached out to Tower for comment, who has said it isn’t aware of any recall and the product is safe to use. We are investigating and will update this story with more information as we get it. If the recall is confirmed you may be given a helpline or instructions on how to arrange collection, a fix to the product or a refund. The manufacturer may ask for proof of purchase, such as a receipt or bank statement, but having the product in your possession should be sufficient. Read our guide to product recalls for more advice on your rights if your item is subject to a safety recall. 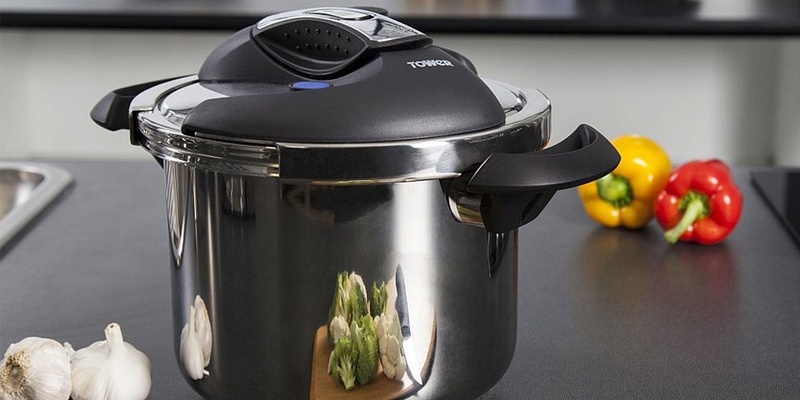 Pressure cookers use a sealed unit to build up steam pressure for more rapid cooking. Some, like this Tower model, are designed to be used on the hob, while others are standalone electrical appliances. Both types usually have a range of safety mechanisms in place to prevent too much pressure building up, as this can otherwise cause burning and scalding risks. Electric models automate the whole process, while stove-top models will need more supervision. Crucially, there are usually several valves so that if one blocks or malfunctions there is still a route for steam to escape. Some more advanced electric models, such as the Instant Pot, also have temperature sensors that will sense if something has gone wrong and shut down the appliance automatically. 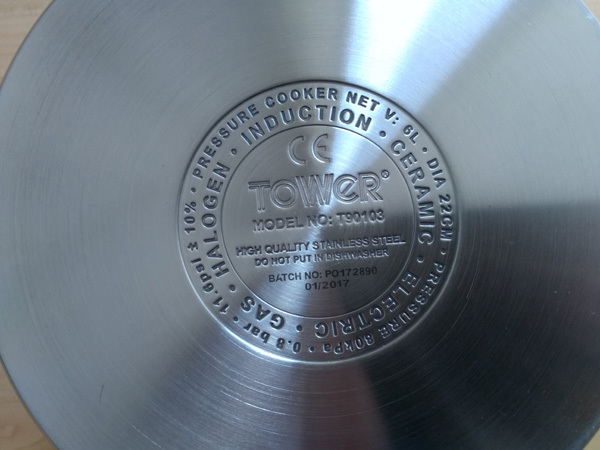 It’s important to read the specific safety and maintenance information in your product’s manual before you start cooking, to ensure you are using it properly.